This is one photo from Scottish Athletics's gallery page of the Celtic Cup last month. Middle distance runner Hayley Ovens grabs the mike, to say goodbye to Scottish supporters, from in-field interviewer Brian Whittle. 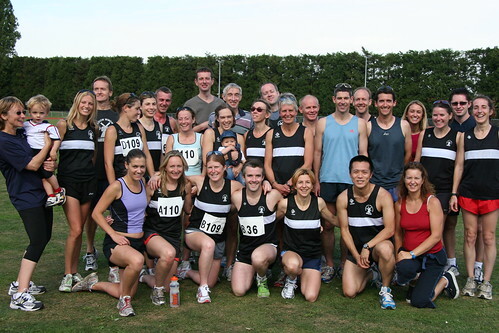 Wimbledon Windmilers finished 12th in the senior men's Surrey Road relay championships - out of 23 teams that started, and came second in the senior women category and third in Women Over 35. BBC Scotland express satisfaction for their ratings for the Celtic Cup on 17 August. Article from Scottish Athletics - featuring my shot of BBC presenter Dougie Donnelly. 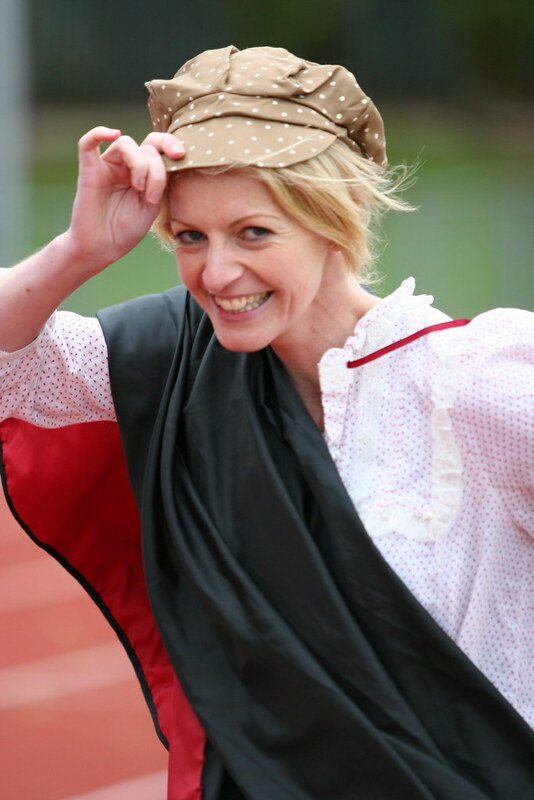 Fun was had by all at the Wimbledon Windmilers Sports Day at Wimbledon Park Track. Winner of the blue ribband events were - Mark Rabbets in the Craig Nicol mile and Simon Dancigar in the fancy dress 400m. The picture shown here is of Vincent Tam in the long jump.